‘Andy Bellwoods’ A Cellar Full of Soul’. Feb 2019. This show was 16th in the global northern soul chart and 27th in the global vinyl only chart. A selection of radio show plays from Andy’s weekly 2 hour radio show during February. 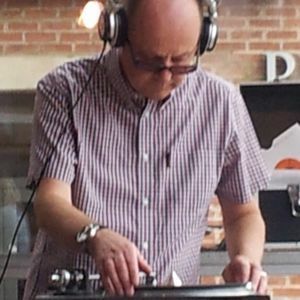 Northern Soul, Motown, new & recent releases, unreleased acetates, x-over, Modern and 7ts are all featured – the source media being original vinyl. Thank you . Give it a few weeks and they’ll be another Mixcloud of April’s radio show plays . Many thanks for all the ‘listens’, ‘favorites’, reposts and sharing. This show was 16th in the global northern soul chart and 27th in the global vinyl only chart. Many thanks . That’s very much the ethos of the radio show . Hi Miguel . Yes , Spyder Turner recorded this one as his version of Millie Jackson’s classic ‘House for sale’ , with his additional vocals added and in doing so, continuing the ‘story’ of the original hence the title ‘fill this house with love’. It’s unreleased at present , acetate only and I understand only four exist including mine . Hello: Great selection. I don´t find this reference Spyder Turner ‘Fill this house with love’ aka ‘House for sale’ , can you help me?